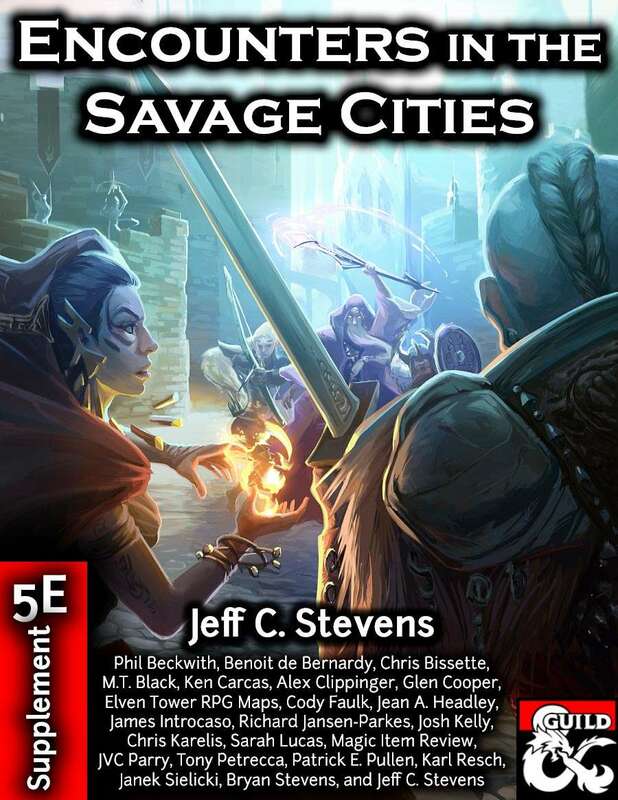 Jeff Stevens is back with another Savage Encounters supplement, and you’re in for a treat. Villains & Lairs is the next supplement in the Savage Encounters line. This one is a collection of NPCs that can be used as villains. Some of them even have lairs ready to be used. 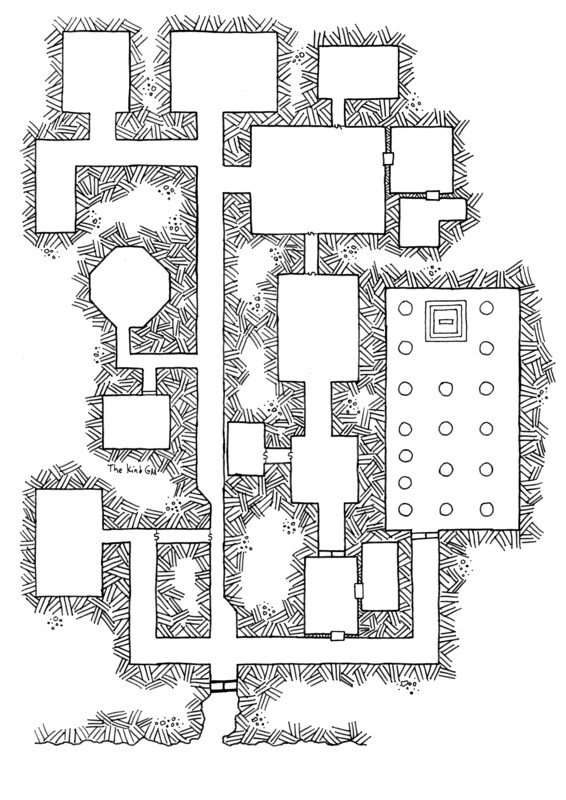 Speaking in numbers, the supplement is 170 pages long and features 46 NPCs, along with 11 lairs. 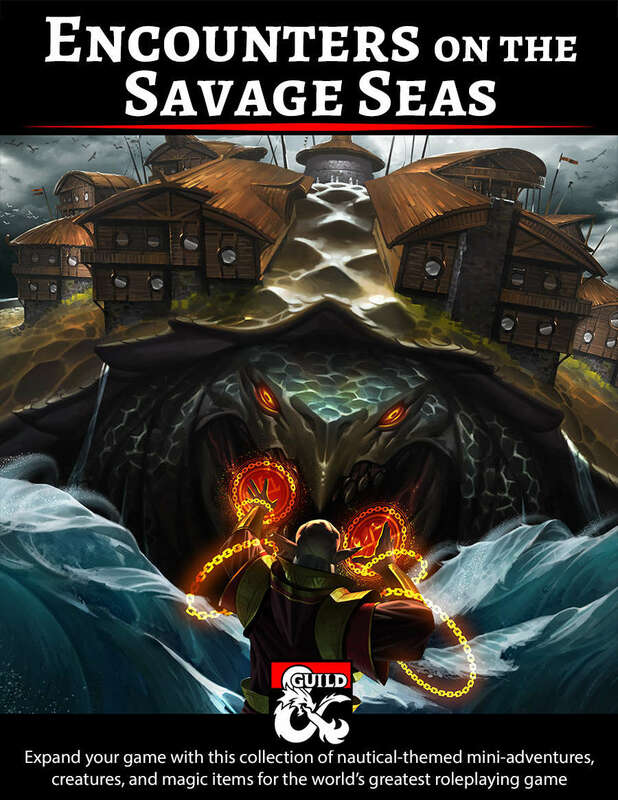 To bring this supplement to life, Jeff has worked with a lot of talented writers of the DMs Guild, including Chris Bissette, Christopher Walz, Jean Headley, M.T. Black, and many many more. The NPCs come with fully fleshed backgrounds. You will also find current motives, long term goals, and sometimes flaws. I don’t want to call the NPCs just villains because, while they can definitely be used as such, they can be used in other ways, such as quest givers. It would be fun to see a Goblin be the one to issue a request to take down an Elf villain. Also, every NPC comes with art. In fact, this supplement was the product of, what you could call, a mental exercise. The writers weaved their stories around the art that was given to them. As for the lairs, all 11 of them come with a map and are quite detailed. 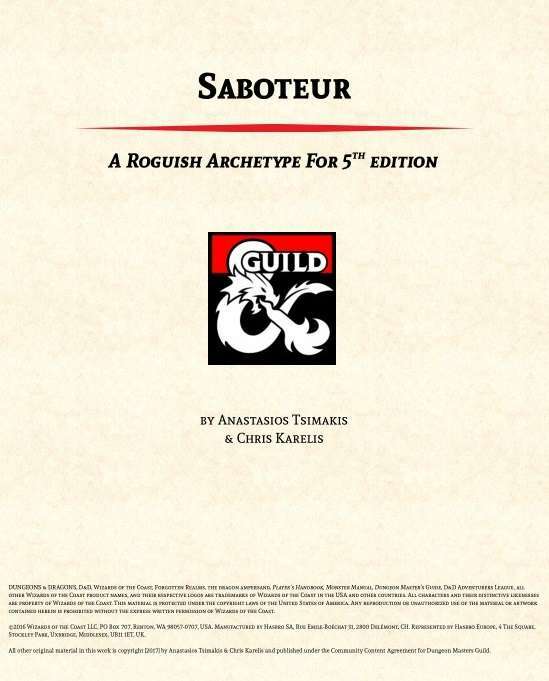 I want to give a mention to two NPCs from this supplement. The first one is an intergalactic bounty hunter, who has managed to bring himself to another plane of existence, along with another alien bounty he was carrying on his ship. The ship is one of the lairs included in the supplement. The second NPC is literally a dog (or is it?) who is running a dog gang. If that isn’t intriguing to you, then I don’t know what it is. But wait, there’s more! There is a bonus when the supplement reaches 250 sales. When it does, two more lairs will be added, along with three villains. One of these three villains has been written by yours truly and I can’t wait to see how they have turned up. Villains & Lairs is available now on the DMs Guild. These are always a great purchase.